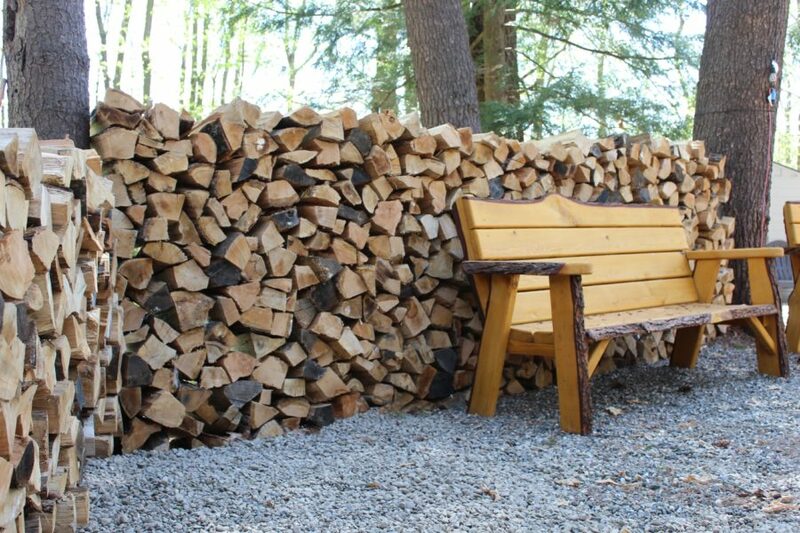 Green hardwood firewood includes a quality mix of Adirondack hardwoods such as maple, birch, ash, cherry, beech and oak. You won’t find softwoods like poplar, bass, or pine in this firewood mix. 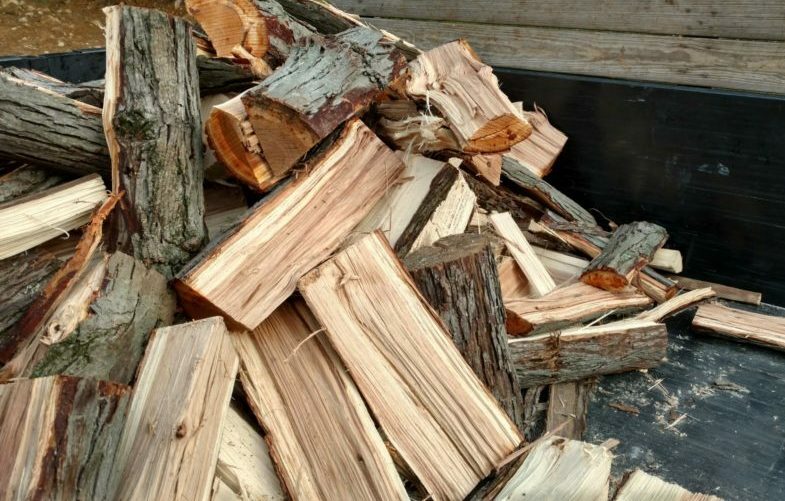 If you have the time to season the wood yourself, you can save money by buying green hardwood firewood and seasoning it yourself! 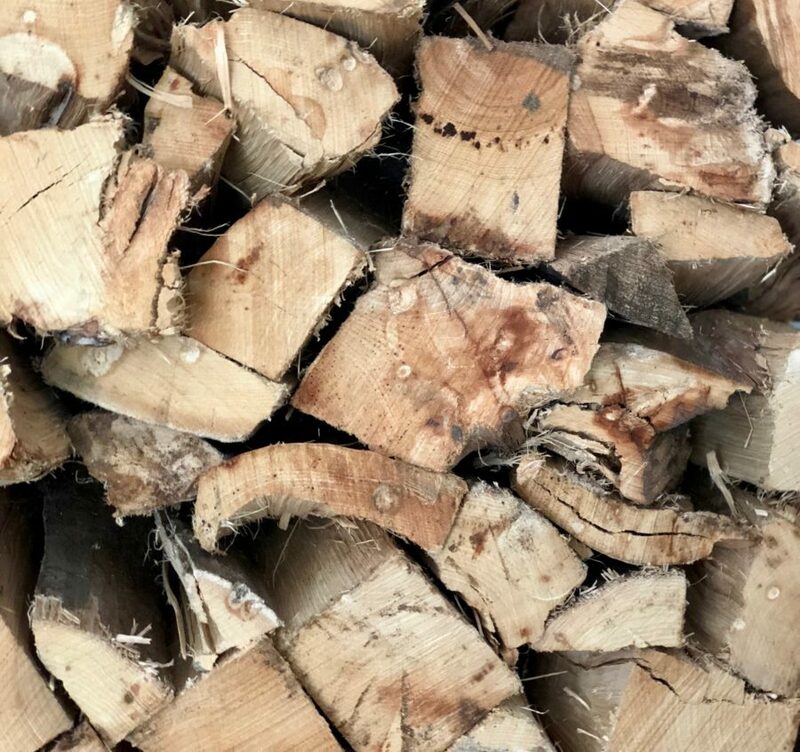 We use the same quality hardwood mix in our green firewood that you will find in our premium, seasoned hardwood. For heating your home, you will find that green hardwood firewood is ideal once it is fully seasoned. 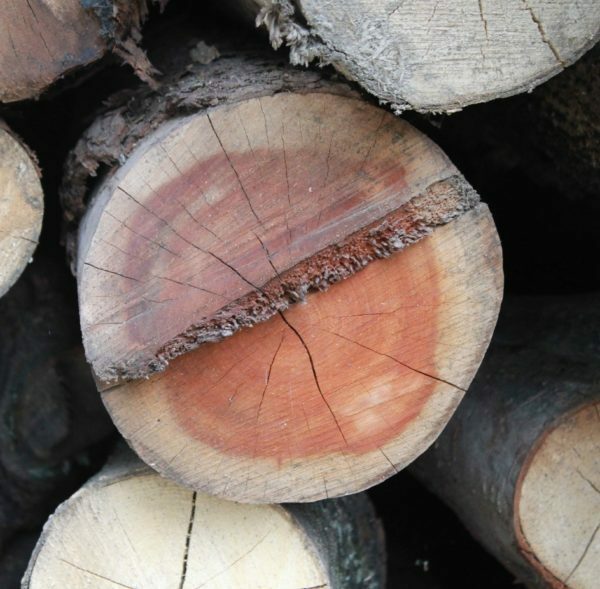 We consider firewood fully seasoned when it reaches a moisture content of 20% or lower. 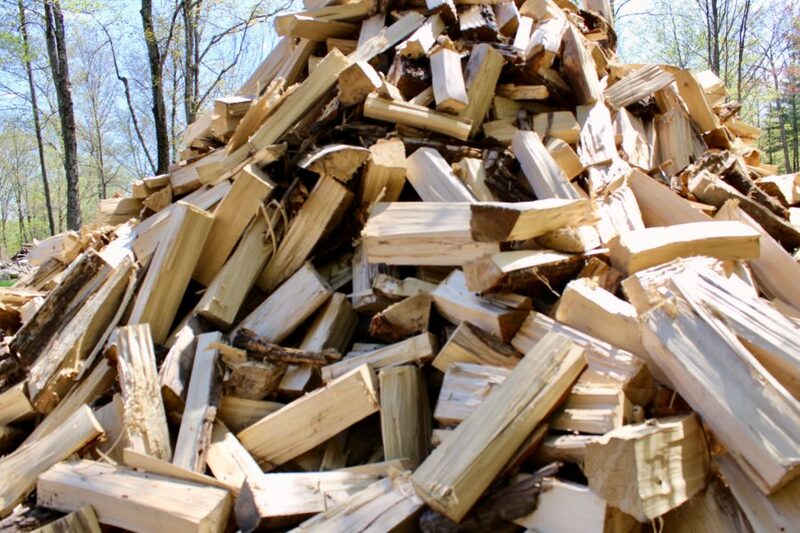 To properly season firewood, we recommend that you stack the wood off the ground and cover the top allowing for good air flow. The seasoning process can take anywhere from a “season” to a full year depending on weather and your storage environment. Our green hardwood firewood has been cut to log length for less than 6 months. For easy stacking and storage, we cut the wood to 16 inches or less, and the split size of the wood is consistent. 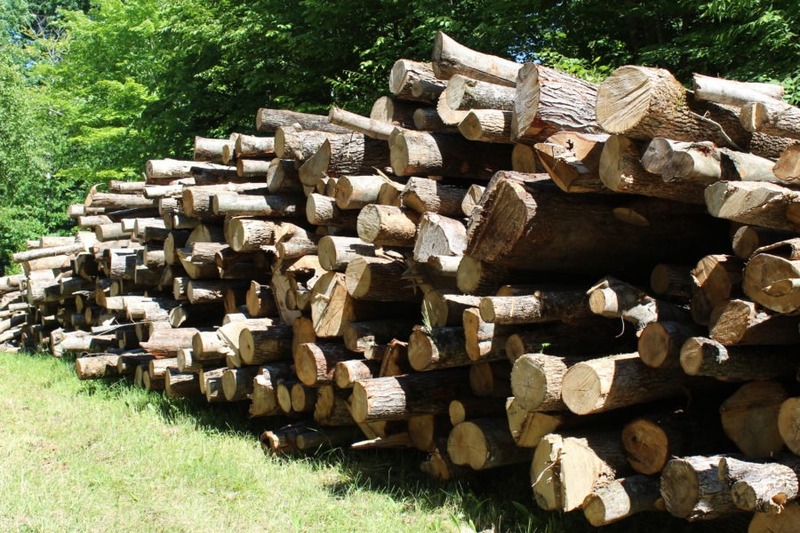 We can custom cut green hardwood firewood from 12 inches to 22 inches in length. This firewood is available by the cord. Just ordered 8 cords of Green firewood. Chris and Nicole are both very professional and friendly to deal with. Chris brought up the wood 2 days after I ordered and dropped it right where I asked. After dealing with many firewood suppliers over the years it is nice to have found one that takes the business seriously and delivers what is promised. Quality firewood. Nice mix of hardwoods. Delivered when promised and on time. I have been a customet for a few years. The wood quality has been consistently better than my previous suppliers. Deliveries are made on time and the service has improved with online ordering and payment. Easy to contact, immediate professional attention and FULL cords of wood as advertised. As a new customer, I couldn’t be more pleased and would recommend Hartman Hill to all wood burners. Delivery was on time…..Nicole and Christopher made the whole process effort free! Good quality firewood. Delivered on time as promised. Ordering was a breeze. Ordering was nice and easy and the wood was delivered exactly when promised. Great quality wood that has been burning nicely and keeping the house nice and toasty. Will definitely be ordering again! Easy ordering process online as well as easy to contact by phone. Wood was delivered when promised. Nicole and Chris were great to work with.I am now a customer of hartman Hill and look forward to burning this wood next season. Will be ordering more from Hartman Hill.